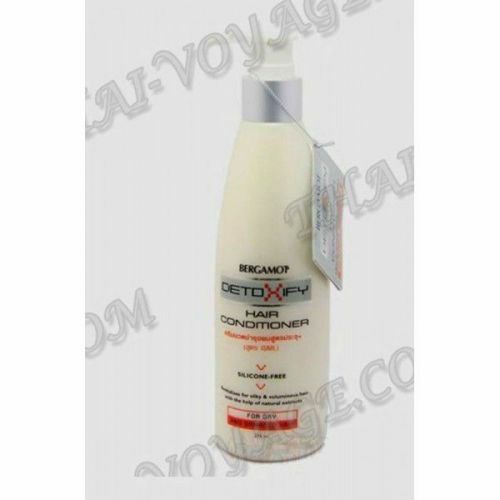 Hair Conditioner Bergamot gives volume and a healthy, well-groomed hair. After its application with ease hair will be combed and avoid confusion. Deeply regenerates and nourishes damaged hair, effectively combats hair loss. Conditioner restores the natural hair and scalp balance. Enriched with pure natural essences: Moringa seed extract, the extract of bergamot (BHC-75 complex), vitamin E, vitamin B5, extract of calendula flowers, nettle extract, ginger extract. Suitable for dry, damaged hair. It does not cause damage to the hair coloring. Use: after shampooing, apply conditioner, massage and leave on for 3-5 minutes. Then rinse. Recommended for use in combination with the same shampoo.